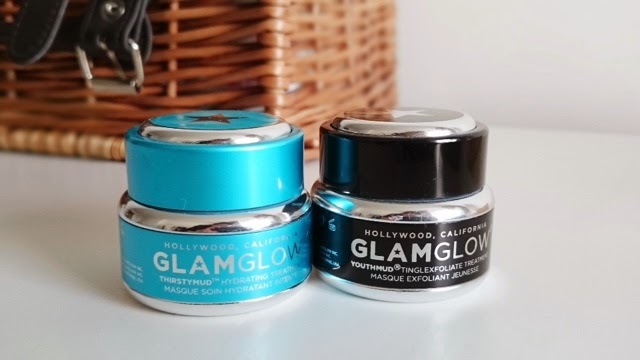 BEAUTY: GLAMGLOW - ThirstyMud and YouthMud - Worth the hype? 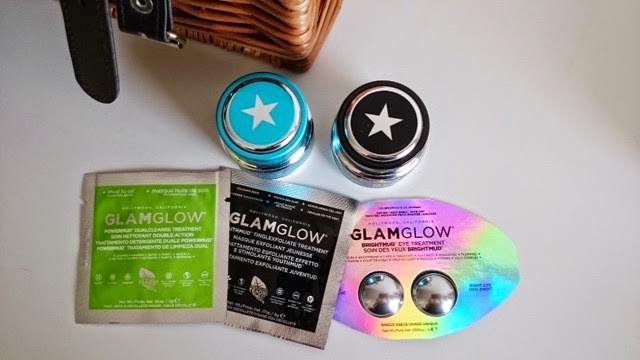 Yeah ok...I am rather behind catching the trend on GLAMGLOW, I got to finally try it when I received the goodies from a swap I done back in dec with Chie - read here if you missed it!!! 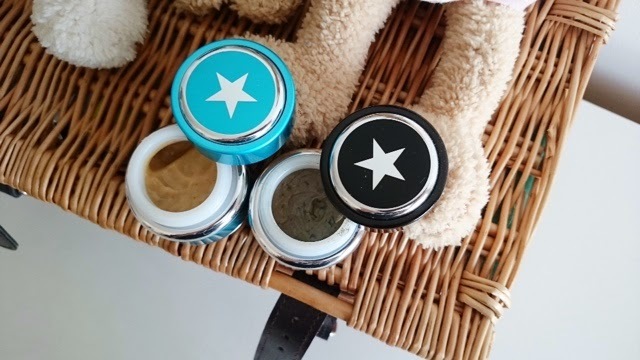 I received the ThirstyMud (Blue jar) and YouthMud (Black jar) and a sample of the the PowerMud (Green pack) and BrightMud eye treatment. I think she must have brought these from Sephora as they are the sample jars for $19 USD each (around £12.50) which are great for testing the product out before you buy the full size since they are very expensive! These sizes are actually great for travelling or to take on the plane with you to use during long haul flights. I have used this twice so far and it's not for me. It has tiny granules for exfoliating and tiny bits that look like seaweed. You can certainly feel the tingle when the mask is on and as it dries the feeling disappears. I applied an even layer and it took around 10 minutes to fully dry then rinsed it off with warm water and my skin felt a lot more cleaner but I wasn't amazed by it. For the price I am already using a dupe far more cheaper with the same effects where you can see the oil drawn out on your pores esp around the nose area - Mudd Mask So based on that I wouldn't repurchase. I was only able to get one use out of the sample pack and I really enjoyed using it. Again as with all GlamGlow products you really feel the difference on your skin soon after the product is washed off - usual smooth pumped up effect. Again not something I would repurchase since it's expensive and my usual Mudd Mask gives more or less the same effect at fraction of the cost. You can either apply this for 20-30 minutes and rinse off then apply your usual serum / moisturiser or apply and leave over night. Since it's so expensive I am not going to wash it off so I applied over night and wash off the next morning. This stuff seriously smells so good a fresh coconut scent and you only need a tiny bit since it spreads very well, you can apply slight more to any dry areas on your face. I felt the results the next day straight away after first application, my skin was SO smooth to touch and make up applied on very well. My skin certainly feel very pumped up and I have been using it at least twice a week - it suggests 2-3 times a week but I need this to last me until I head to the US to stock up! I absolutely love this product!!!!! Worth noting from reading reviews some people have had reaction to this so I would suggest for you to get samples to try before buying full size just in case your skin reacts to it. It's expensive but worth the price tag with the effects it gives my skin. I am afraid I haven't tried the BrightMud eye treatment yet, saving this for my travels next month. Have you guys tried any of the GlamGlow range and what do you think? What's great about this range is that it's suitable for male / females! If you think it's too pricey then definitely check out Mudd Mask, I have been using this for over 5 years!!! I've heard a lot about Glamglow, mostly people like it but others like yourself don't. I think it is quite pricey for what it is and i'm sure there are plenty of products out there that do the same job, if not better! I'm definitely going to try that Mudd Mask you suggested... looks fab and at a super price too! GlamGlow thirsty mud is def worth the purchase out of all of them. Yup I agree for the others there are many products that do just as good job on the market for a fraction of the price. Let me know if you discover any similar products. I have heard so much about these products, thank you for the review! I love your blog and I have followed you with Bloglovin. If you ever get a chance to check out my blog I would be delighted, thanks! Thanks lovely - will pop over now! I woudn't not try because it didn't work for me. Def get a sample and give it a go yourself, I have heard great reviews for the whole range but it really depends on how your skin reacts! I really like thirstymud but that is hydration - worth a try if you suffer from really dry / dehydrated skin! I've had my eye on GlamGlow for aaages but it's just so expensive. Glad I read your review as I might have to look into the Mudd mask instead! If you are after something to pull out all the oil / dirt on your face then I highly recommend Mudd mask for a few quid! I really want to try these out but can never bring myself to spend so much! I might keep an eye out in Sephora for the smaller jars to give them a try. Def recommend buying the small pots to try first think they are $16-19 USD a pot so it's not too bad. I am buying the large size for the thirsty mud it's AMAZING! I've still not tried glam glow, shame about the youth mud, but the thirsty mud sounds good. If you are based in the US sephora can depot a sample for you to try otherwise you can purchase the sachets from glamglow direct and they can give you a sample from the whole range. Just purchased the thirstymud face wash - super excited to try this! Look out for my review in the coming weeks.